Set a sustainable table with this collection of Mid-Century wood dishes. This serving set includes a 10-inch round serving bowl and five 6-inch round salad bowls to make a statement at your next dinner setting. Mix and match these dishes with your contemporary dishes for an eclectic bohemian look. The serving bowl is 4 inches deep and the salad bowls are 2 inches deep. The bowls have a glossy coating for durability. 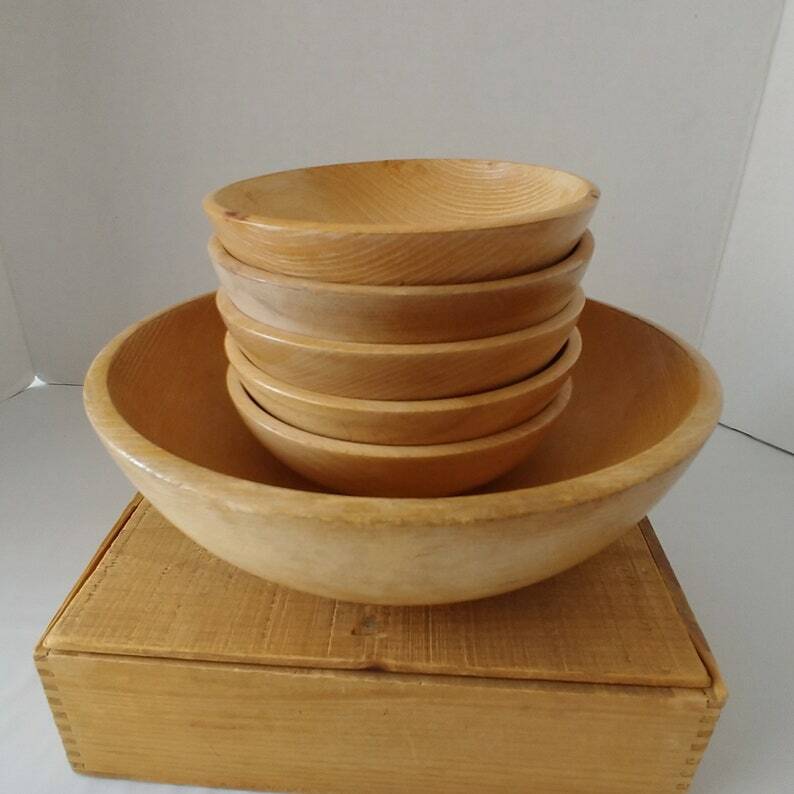 Except for the large bowl that has a split on the edge (see photo), all of these wooden dishes are in great condition with very little wear and minor scratches.